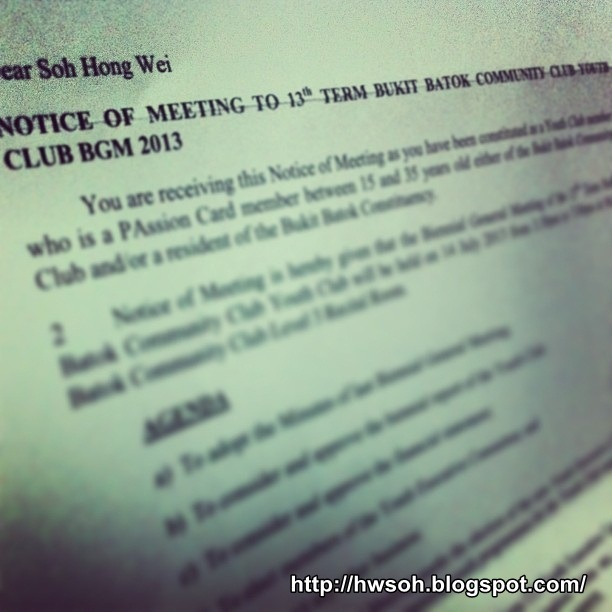 http://hwsoh.blogspot.sg/: Still in Youth Club ? Few days back, i received a letter from People's Association (PA). According to Wikipedia, "Youth Club" refers to a youth social club, a place where young people can meet and participate in activities such as football, soccer, basketball, table tennis, or video games, or religious activities. It was the first time, in my 20+ years staying in this area, and the very first time i got this invite. Have you received such letter before ? ?